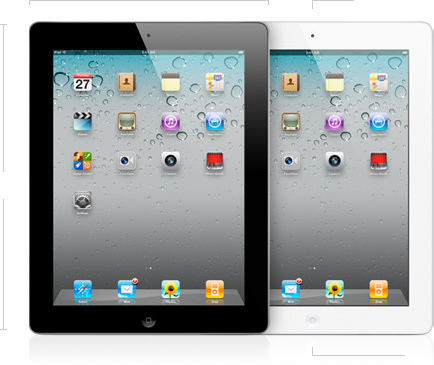 The iPad 2 has finally made it to stores in India, and the stock is apparently flying off of shelves. All stockists were given strict instructions to not take pre orders and the iPad 2 is available on first come first serve basis to those willing to buy it. Pricing is as follows and various users are complaining of the low stock of white color. can you tell me where to buy it from? i’ve been pestering the apple store in malviya nagar for 2 days, even before he got to know it’s launching in India soon. he’s doesn’t have any in stock yet and he’s telling me that they’ve alloted to people who preordered them.. wtf? how did he start a preorder without knowing it was going to be launched? i was the one who told him it was going to be launched and asked him to save me a piece..
i apparently called imagine store and they told me they are only taking orders right now and the delivery of the new ipad2 wont be done before 2 weeks. and i thought u could buy it off the shelf on first day!!!!!! Price is too high. They should launch 3G alone without wifi.